Nissan will seek to remove chairman Carlos Ghosn from the business after an investigation into "financial misconduct" revealed evidence that he had been under-reporting his pay package. The Japanese car manufacturing giant said it had been conducting an internal investigation for several months which showed Ghosn had been under-reporting his pay package and identified "Numerous other significant acts of misconduct" including "personal use of company assets”. Representative director Greg Kelly has also been subject to the investigation. Japanese media reports suggest that Ghosn has been arrested in Tokyo in relation to the allegations, while Nissan has issued an official apology for the “great concern” that the situation has caused to its shareholders and stakeholders. 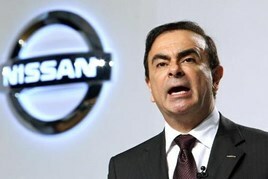 Nissan’s official statement said that, based on a whistleblower report, “Nissan Motor Co Ltd (Nissan) has been conducting an internal investigation over the past several months regarding misconduct involving the company’s representative director and chairman Carlos Ghosn and representative director Greg Kelly. “The investigation showed that over many years both Ghosn and Kelly have been reporting compensation amounts in the Tokyo Stock Exchange securities report that were less than the actual amount, in order to reduce the disclosed amount of Carlos Ghosn’s compensation. 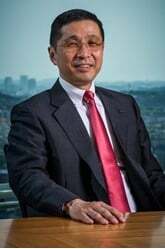 Nissan said that the misconduct uncovered constituted clear violations of the duty of care as directors, adding that Nissan’s Chief Executive Officer Hiroto Saikawa will now propose to the Nissan Board of Directors to promptly remove Ghosn from his positions. Saikawa will also propose the removal of Greg Kelly from his position as representative director, it said. The involvement of Ghosn, who is also chairman and chief executive of Renault and chairman of Mitsubishi Motors, in the financial reporting scandal prompted shares in Renault to drop almost 13% today (November 19), according to the BBC.